Moths and butterflies are truly amazing creatures. Moths and butterflies are frequently seen as symbols of growth and transformation. Moths, in particular, can serve as a reminder to remain optimistic and seek the light. This symbolism inspired a recent painting featuring a stylized luna moth flying towards three moons. I loved the drawing so much I decided to turn it into a coloring page to share! 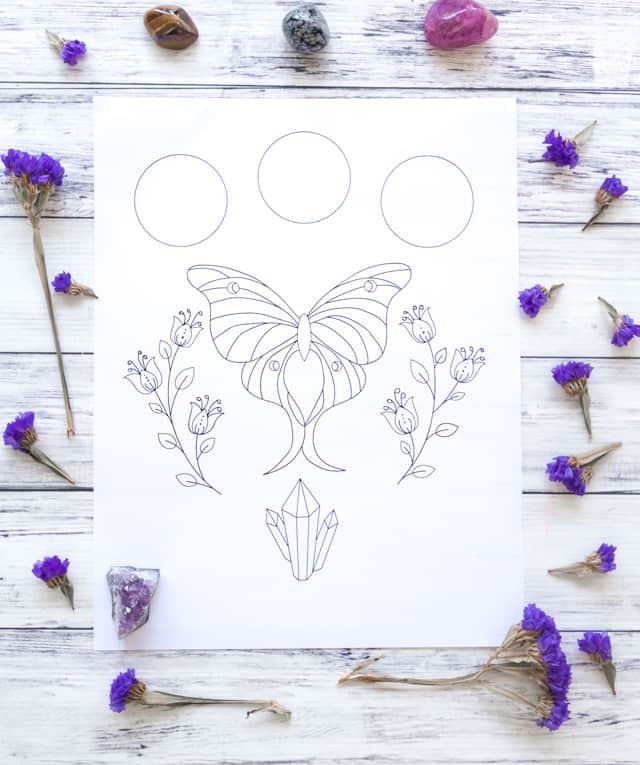 I hope you enjoy this free printable luna moth coloring page. Then I added lots of layers in Photoshop. 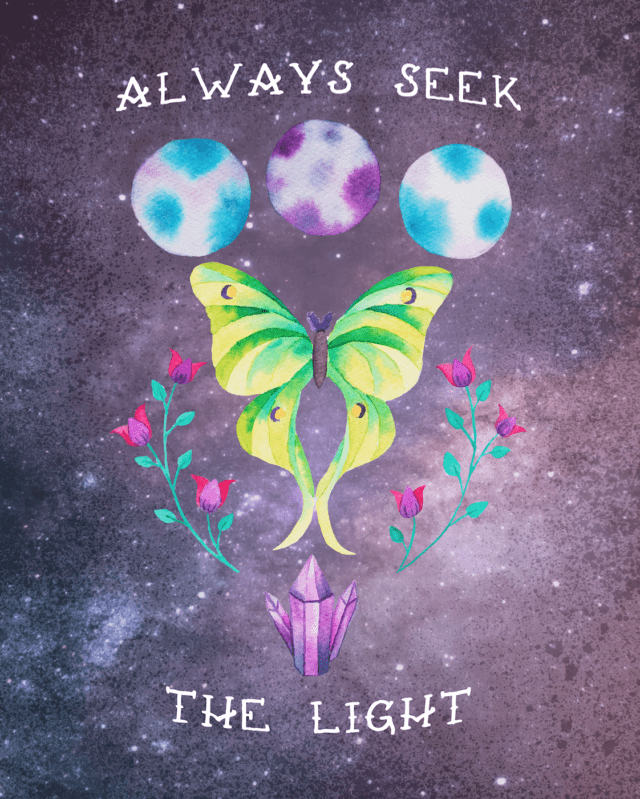 Finally, I added the text “always seek the light” for uploads to my main print on demand sites. I have the most art on Society6, but I’m working to build my Redbubble store, too. I’m really loving Society6’s new offerings like serving trays, cutting boards, and wall hangings! 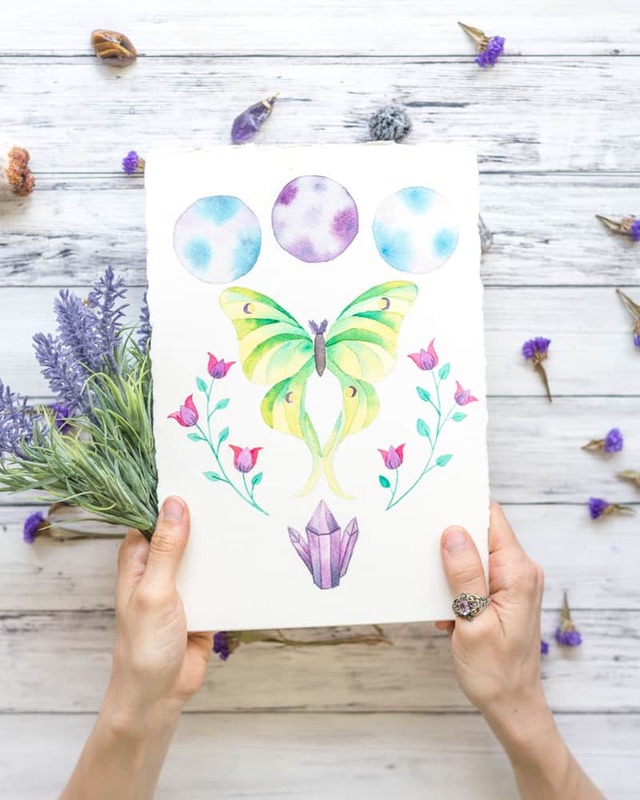 The coloring page version of the painting allows you to fill in the background, phases of the moon, and the moth’s antennae however you’d like. As always, I recommend printing on something nicer than printer paper. I like to print coloring pages on bristol vellum. Cardstock and art papers like this Bee marker pad can work well, too. 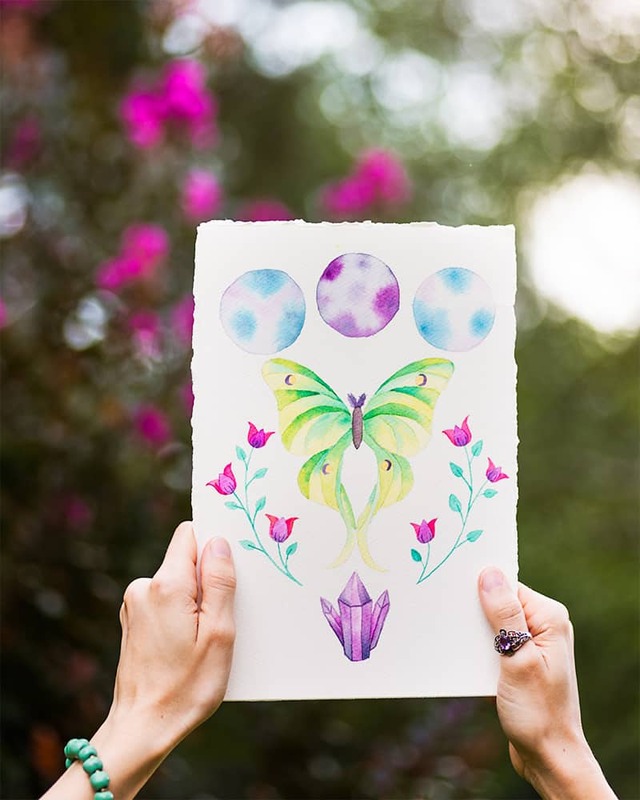 Grab your free printable luna moth coloring page right here! I really hope you enjoy this luna moth coloring page! 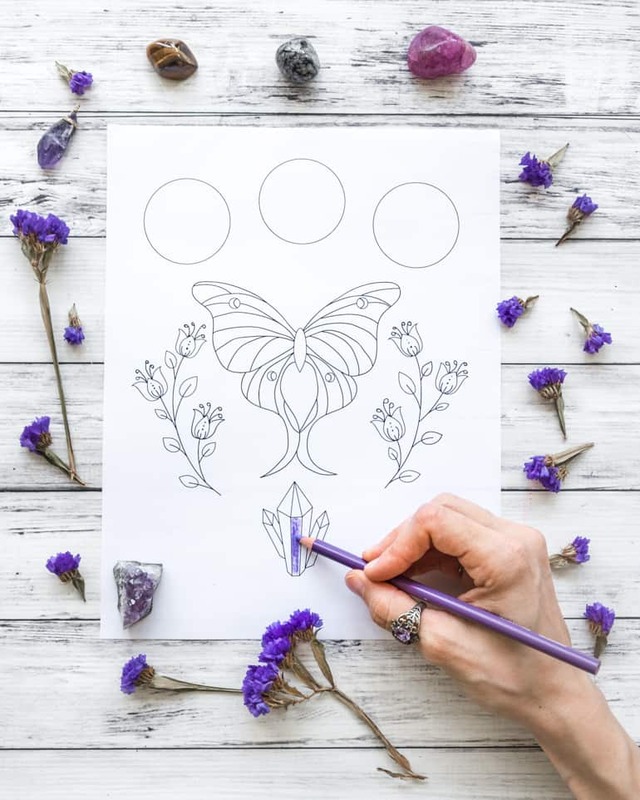 If you like coloring, be sure to check out my other recent free printable coloring pages and sign up for my monthly newsletter! For a limited time, subscribers receive both a printable gratitude journal with 30 days of doodle frames & writing prompts and a 12 page sugar skull coloring book. 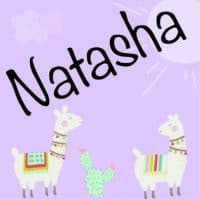 Do you have any coloring page requests? 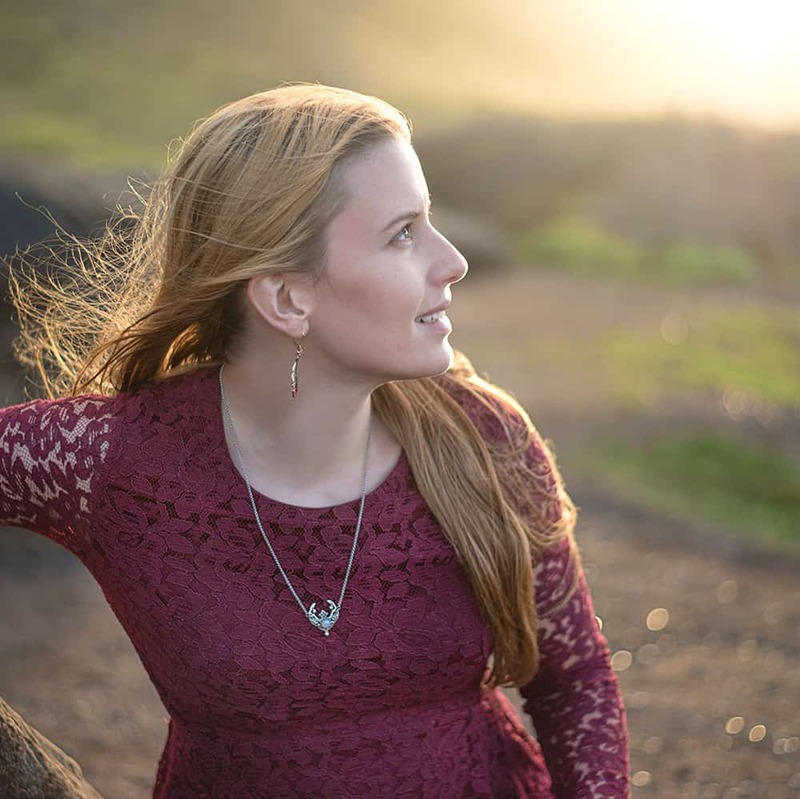 Let me know what you’re looking for! Thank you so much! Your sweet comment put a smile on my face. This is beautiful, thank you for the inspiration! !